At Peer Recovery Resources we are peers in active recovery using our lived experiences to connect our community through education, hope, and empowerment. We are here to help you, just reach out to us. We serve those with mental health and/or substance use challenges as well as their loved ones and advocates by providing peer support. Peer Support is a structured relationship where a trained peer worker or volunteer, who has gone through a personal process of recovery with a mental health and/or substance use challenge, assists other people with mental health and/or substance use challenges to identify and achieve life goals. 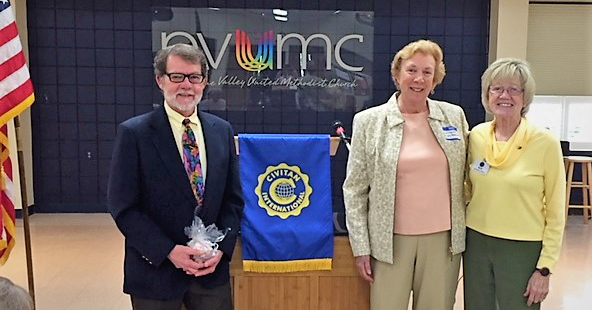 Board Members, Johnny Puckett and Mary Ann Furniss were honored recently to receive a special Civitan Grant to help further our important work. We provide support to all individuals with mental health and or substance use challenges–regardless of faith, creed, race, ethnicity, religion, political affiliation, gender identity/sexual orientation, or disability. We offer acceptance, information, and support. We focus on recovery not judgement. We believe we can build a better tomorrow together. We are honest, reliable and offer help to all individuals. We began as a committed group of Peer Support Specialists who wanted to make a difference. We saw a gap in support services for those living with mental health and substance use challenges in the Wilmington and Brunswick county areas, and knew we had to take action. We began working with Coastal Care, the former Managed Care Organization, to explore the establishment of a peer-operated resource center in the Wilmington area. In June 2015, together with Coastal Care, these peers obtained seed funding and secured 501(c)(3) non-profit status to open the Recovery Resource Center, Inc. RRCI has been providing services since September 2015, and has been located in the Harrelson Center, a non-profit center in downtown Wilmington, since July 2015. RRCI began focusing on providing free wellness recovery classes to the following high service need populations: older adults, individuals experiencing homelessness and/or poverty, and veterans. Although RRCI has been assisting mostly these populations, our services are still free of cost and open to all those facing mental health and/or substance use challenges. RRCI changes its name and relaunches as Peer Recovery Resources in 2018. Our Peer Support Specialists teach classes in wellness recovery topics and provide one-on-one peer mentoring to individuals. We listen to each person’s story, share the skills we have learned through our lived experiences, and help direct people to resources in their community. We offer help to all individuals. Some of the populations we currently serve include older adults, individuals facing homelessness and/or poverty, veterans, businesses, organizations, and the general public. Primarily, we teach residents at the following outreach sites: Glover Plaza, James Walker, and Haven Ministries.